Friday 11th, May 2018 - In the three years since releasing his debut as Astral Swans, Calgary’s Matthew Swann has been busy. Touring Canada twice following the release of 2015’s All My Favorite Singers Are Willie Nelson, once in support of Dan Mangan, and a second time playing a series of more intimate shows in alternative venues, from art galleries to microbreweries. "What Are You Gonna Do With Yourself"
March 12, 2018 - You need a Monday pick-me-up? But along with that, how ’bout some new music via local genius Matthew Swann (a.k.a. Astral Swans)? The bedsit psych folkster is getting set to release his sophomore album Strange Prison on May 18th via hometown label Saved By Radio, which is run by the ridiculously wonderful local scene booster Dawn Loucks. It will also see the light of day in Tokyo thanks to Moorworks and in the Netherlands at the hands of Tiny Room Records. August 4, 2018 - Although the two tracks just mentioned are a good representation of Astral Swan’s “sound”, Swann doesn’t limit himself style-wise. 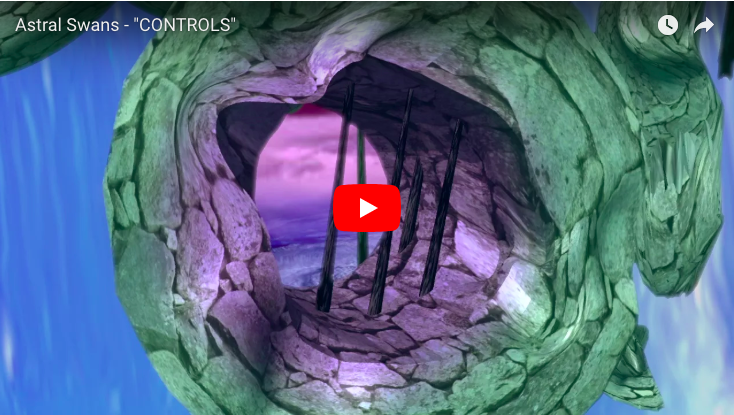 “Controls” introduces a kind of future-gospel vibe in the chorus, while “Sew Their Mouths” veers into americana territory (although of the very dark and strange variety). He also makes judicious use of guest musicians, featuring the likes of Dan Mangan and Tigerwing sparingly but in key roles (Mangan, for example, is prominent in that gospel chorus in “Controls”). May 12, 2018 - Matthew Swann wastes no time setting a mood on Strange Prison, the sophomore record released under his Astral Swans moniker. “It definitely hits you from the start,” says the Calgary singer-songwriter with a laugh. PASTE, Daily Dose: Astral Swans, "What Are You Gonna Do With Yourself"
March 12, 2018 - From the forthcoming Strange Prison LP, produced by Scott Munro of Preoccupations. 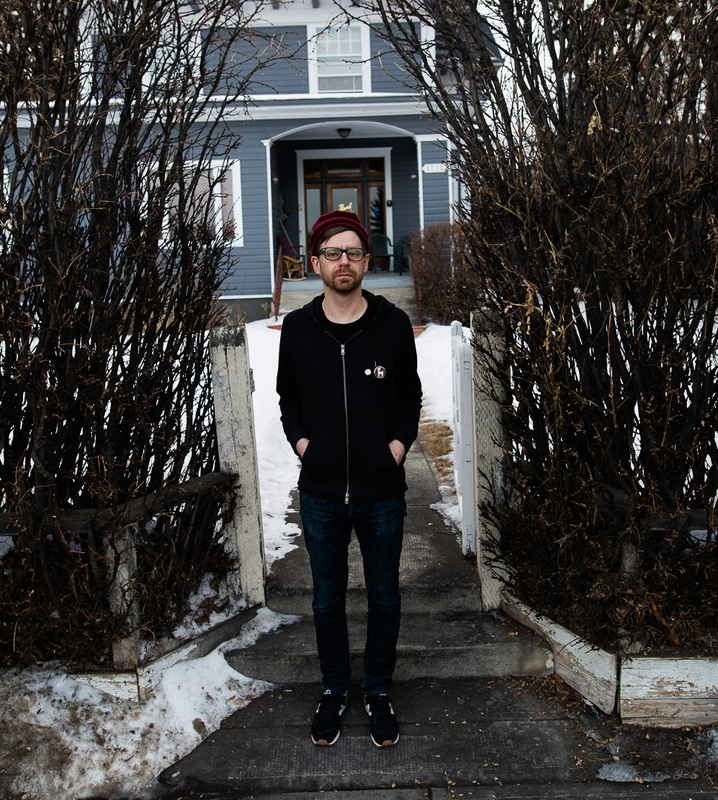 Calgary songwriter and multi-instrumentalist Matthew Swann, aka Astral Swans, will release his sophomore album, Strange Prison, on May 18. “Despite these songs dealing with hard themes of pain, alienation, and our limitations, the end objective is finding beauty to transcend the shittiness of the world,” Swann says. January 4, 2019 -The domain of Calgary singer-songwriter Matthew Swann, Astral Swans’ sophomore release Strange Prison is a brilliant and often unsettling collection of songs that reflect the writer’s occasionally troubled “state of mind.” But Swann looks inward and outward at an equally troubled world, offering an intimate, wise and often surprisingly catchy revue of subtle and dreamy guitar-pop. 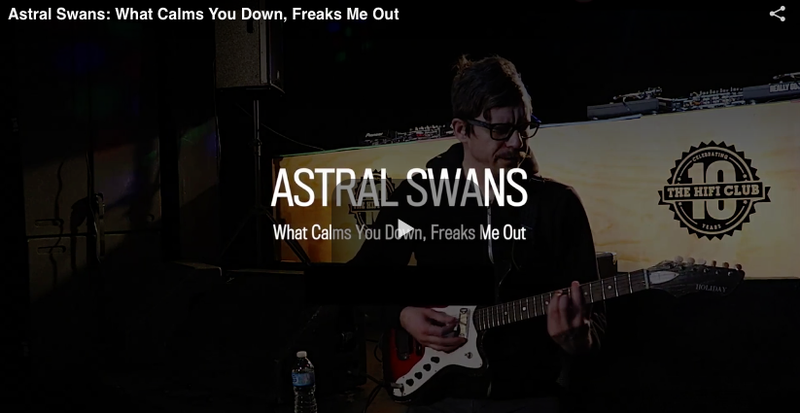 Jul 27, 2018 - Calgary band Astral Swans drops by the q studio to perform some new music from their latest record Strange Prison, which is out now. 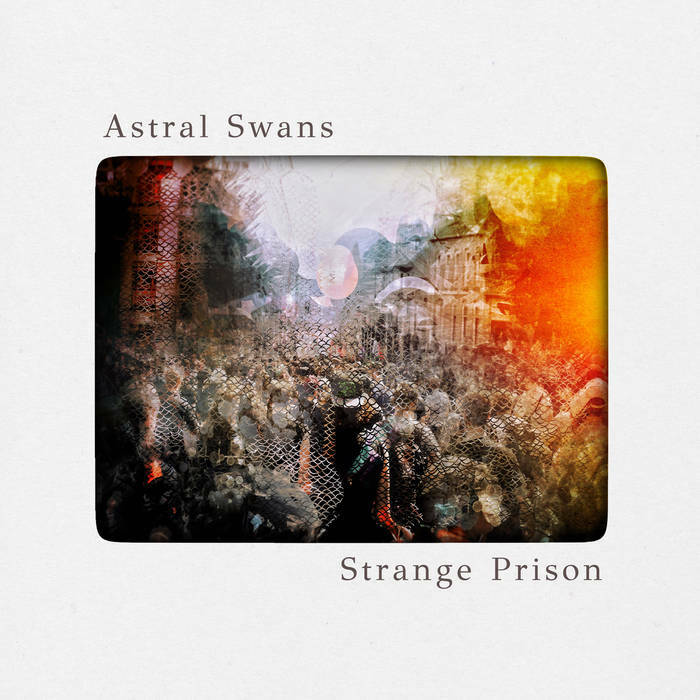 July 9, 2018 -Calgary's Astral Swans reach the top spot with "Controls" from its latest release Strange Prison. The album came out on May 18 and, coincidentally, was co-produced by our highest debuting artist Dan Mangan. May 17, 2018 - Dark places. Matthew Swann knows about them. And he’s not afraid to show you them, take you to them. It’s very much a part of his musical project Astral Swans and the psych-folk songs he writes: those that haunted his phenomenal 2015 lo-fi debut All My Favorite Singers Are Willie Nelson; and the ones that swallow you whole on his astounding new hi-fi — or, more appropriately, high-fi — followup, Strange Prison. March 12, 2018 - After delivering All My Favourite Singers Are Willie Nelson back in 2015, Calgary songwriter Matthew Swann has lifted the curtain on his sophomore follow-up as Astral Swans. February 25, 2015 - There’s nothing like being the first. Good or bad, you’re given the opportunity to set the tone for what’s to come, what can be expected and all that will follow. 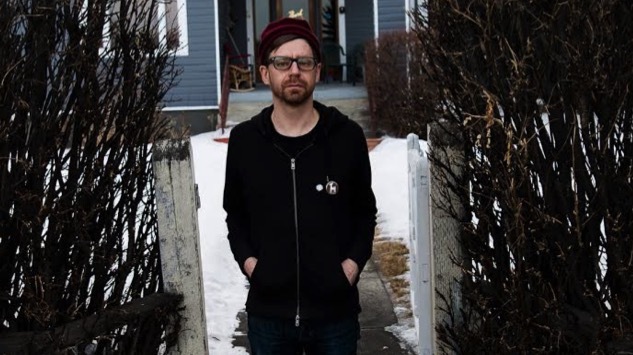 Which makes Calgary artist Matthew Swann’s new album recorded under his Astral Swans moniker all the more notable and exciting. The Fire Note: Strange Prison - I have a new favourite Astral Swans now. May 7, 2018 - If the first album was a home run, Strange Prison is a grand slam. My expectations were high, but somehow this LP exceeded those expectations. It is weirder, it is catchier, it is sadder, and it is even more psychedelic than the first LP. Matthew Swann has raised the bar on himself and the music he creates. May 28, 2018 - If Strange Prison has a weakness, it's that the songs are so quietly humble that it's possible for the whole thing to breeze by without ever making much of an impression. Give it your full attention, however, and it offers understated rewards. April 17, 2018 - The moment you’re pleasantly settled into the smoke-curling groove of Astral Swans “Controls” - then realize the song is about a plane crash. Faultless rock & roll haunted by an aviation disaster context is cause to rate “Controls” high on the Buddy Holly Scale. But we’re ok, it’s a crash-as-metaphor. March 13, 2018 - The Internet is practically synonymous with cats at this point. Countless memes, Instagram accounts and Facebook posts are devoted to those lovable little buddies. Yesterday, Calgary based artist Astral Swans announced the release of his new album Strange Prison with a delightful little video starring one of the cutest little kittens you ever saw. February 23, 2015 - Matthew Swann talks about the troubling charm of Willie Nelson on the new album 'All My Favourite Singers Are Willie Nelson'. 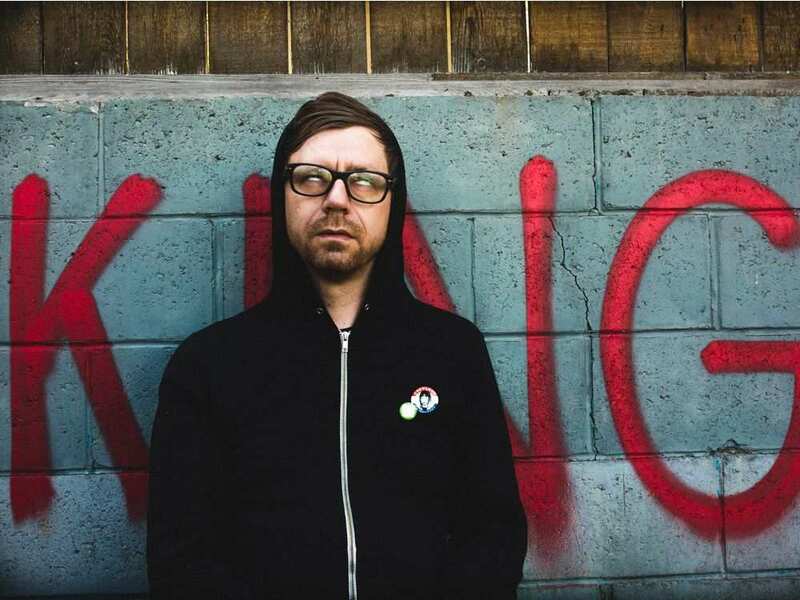 March 19th, 2014 - Matthew Swann lives in Calgary, but when the debut LP by his latest project, Astral Swans, comes out in the fall, it’s bound to get a lot of attention on the West Coast. That’s because it will be the first full-length release from Madic Records, the new label run by local hero Dan Mangan (with a little help from his friends at Arts & Crafts). January 4, 2019 - Matthew Swann remains one of this city’s, no, country’s, most enigmatic and beautifully bleak psych-folk poets. His second full-length is another astoundingly, confoundingly dreamy descent into the darkness of a psyche that turns mental torment into something that awes, inspires, elevates and leaves a mark on your heart. The first three songs alone — Blow Away, Controls and What Are You Gonna Do With Yourself — are enough to cement his songwriting genius. In an alternate and much better universe, Astral Swans is a goddamn superstar. August 16 2018 - To say this is a diversely symphonic album is an understatement… strings, theremins, keyboards and vocal harmonies each make exceptional accompaniment at various times. This is full-on, studio perfected production… I mean … listening to the title track “Strange Prison” is like an all you can eat buffet for your ears. But more flavourful than that. “What Are You Gonna Do With Yourself” has a chorus that makes you want to close your eyes and quietly sing along to. “Prison Builder” begins with as a simple acoustic guitar shuffle but, ends with a feedback guitar freak-out; blemishes included… awesome.